A nuisance 999 caller from Brighton has been sent to prison for 16 months four years after he started to plague police and the ambulance service. 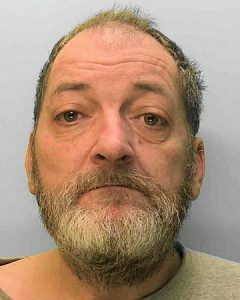 Michael Gibson, 50, unemployed, of North Road, Brighton, breached a criminal behaviour order (CBO) 30 times. Sussex Police said that Gibson was “jailed after deluging emergency services contact centres with nuisance calls”. Sarah-Louisih”Gibson continued to make these calls even after being arrested on a number of occasions, even after having a CBO placed on him and even after the efforts of several support services to help him deal with his problem. Gibson appeared at Lewes Crown Court on Friday 6 July to answer the charges for breaching the order that prevented him from calling 999 except in an emergency. He was first arrested in July 2014 when he called police and ambulance services a number of times but was then abusive to officers and paramedics who attended his call. He continued to make the nuisance calls. After numerous breaches of a criminal behaviour order, which was made at Brighton Magistrates’ Court on Thursday 28 September last year, he was arrested for breaking his bail conditions in April this year when he was found with two mobile phones, which he had been banned from owning. Gibson pleaded guilty at an earlier magistrates’ court hearing and was sent to the crown court for sentencing where he received 16 months’ imprisonment and was ordered to pay a victim surcharge of £140.